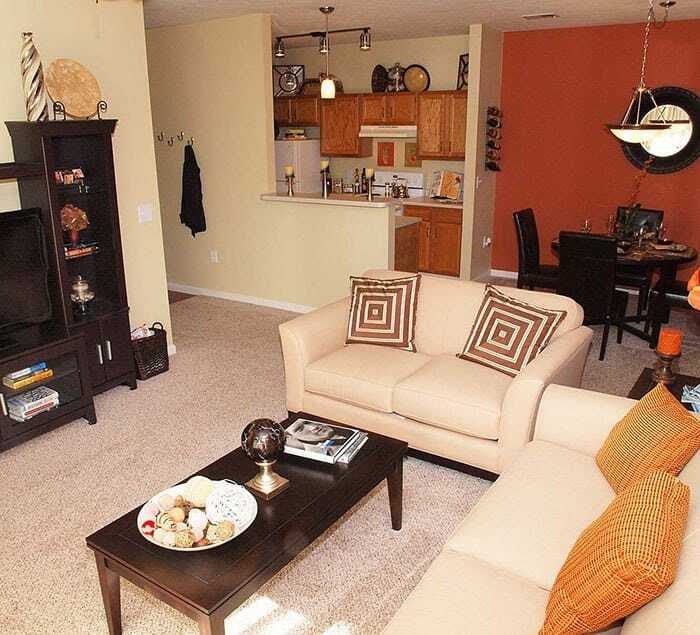 With a variety of 1, 2 and 3 bedroom styles, we know we have the perfect apartment for what you're looking for. We are proud to have the area's largest master bedrooms in all of our floor plans, including our one bedroom apartments with space to accommodate king-size furniture, as well as massive walk-in closets. We also have the open concept living spaces that everyone is looking for these days. Your kitchen will have all the amenities you're looking for and you'll love the outdoor space right off your living room. We have options perfect for those needing an in-home office, second living space or room for your hobbies; our one bedroom with den and two bedroom with den options would be perfect for anyone with this lifestyle. Our townhomes are the perfect floor plan for those looking for a two-story, three bedroom home. You'll also have your own private driveway with a two-car attached garage. We offer flexible lease terms to fit your lifestyle. You can begin with a three month lease term or go all the way up to a 12 month lease term, with the ability to renew or go month-to-month once your first lease expires. We know you'll love us on your first visit and when you lease on your first tour, we'll offer you a reduced deposit you won't be able to pass up. Stop by today to hear more about this great offer!